466 p., 18,5 x 25,6 cm. Edited and introduced by Heinz Enders and Jan Pinborg. 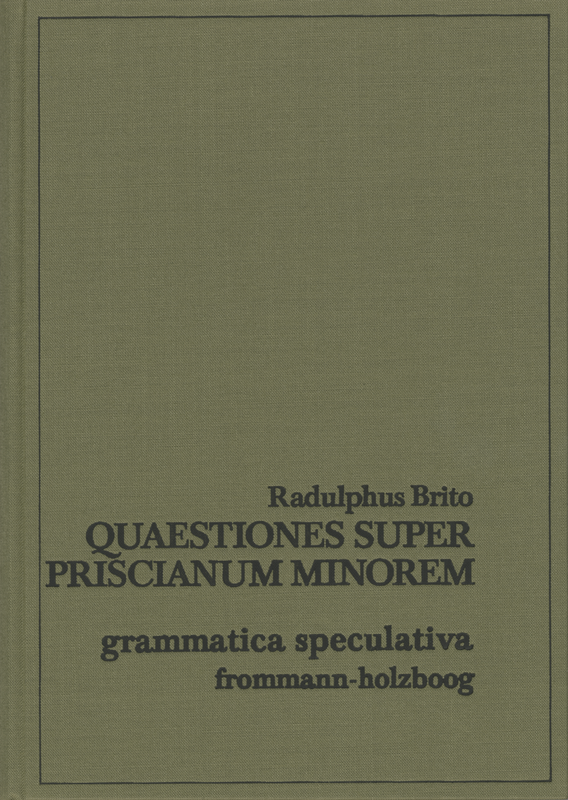 One of the most exhaustive and thorough theoretical discussions of medieval linguistic theory is the ›Quaestiones super Priscianum minorem‹ by Radulphus Brito (around 1270–1320), published here for the first time. In this work, which is full of astute observations on the theory of syntax and instructive syntactic analyses, Radulphus discusses the basic principles of the theory of a universal grammar. The introduction deals with Radulphus‘ position in the development of medieval semantics and several elements of his theory which can be useful for modern discussions on semantics.